The Workshops provide an opportunity to learn new talents and to share information with laughter, education and friendship. 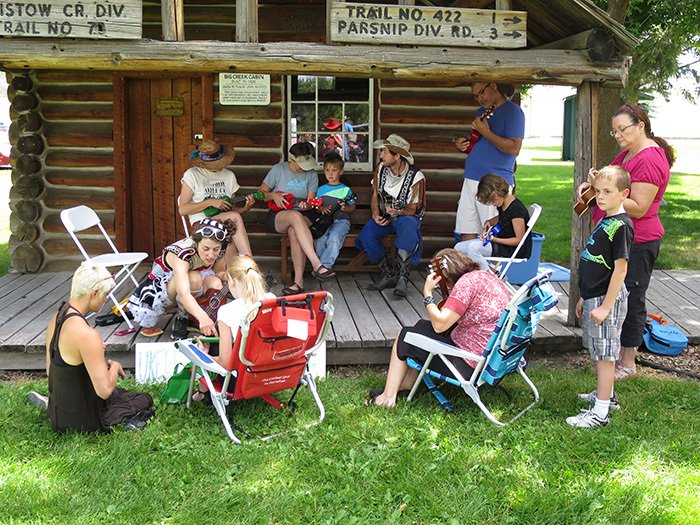 The New Old Time Chautauqua (NOTC) offers many diverse workshops AND invites the Host Communities to also present workshops, especially those that are about local history, stories, arts, music, customs, language—those topics that make a community unique. We think that everyone has interesting stories or talents, and workshops are a great way to share them with others. NOTC’s intention is to enjoy each other’s company in an environment that is joyful and safe. Also, we hope to create opportunities to learn how people are different, and most importantly, how we are similar. The New Old Time Chautauqua has held workshops in city parks, community centers, native reservations, schools, juvenile detention centers, prisons, homeless shelters and nursing homes.